Fenton - the centre of the universe? 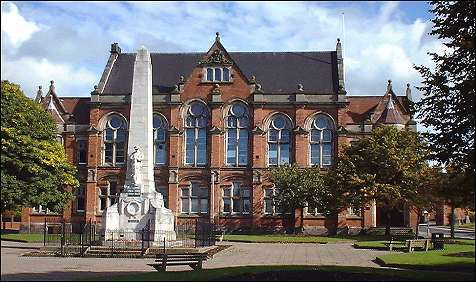 If someone asked you to meet them in Fenton you’d probably go to the war memorial that stands in front of the Renaissance-styled town hall alongside the huge Gothic Christchurch. But there are no shops here and the main users of the Victorian square named after the Queen’s consort are lawyers, police officers and the daily parade of unfortunate miscreants that feed the relentless machinery of the magistrates’ court. Even so resident and former councillor, Stan Bate, will have you know that Albert Square is not only the centre of Fenton but the geographical centre of Stoke on Trent. “Officer’s of the council have been arguing for years about this. Most people of course say Hanley is the city centre but I know that Fenton swimming pool is exactly six and a quarter of miles from the extremities of the north of Stoke on Trent and five and three quarter’s from the southern extremities. So look a little further west and Albert Square has got to be the exact centre.” I would never attempt to challenge Stan’s arithmetic but I do know that Fenton occupies more acreage than any other town in the Potteries and that in itself hides its true identity. There once was a little lane that ran from the southern reaches of Hanley across flat countryside containing a couple of farms and some private smallholdings. The hawthorn-hedged lane passed over the River Trent via a rustic bridge near to the Leek road through Manor Farm and on to Lane Delph which was a small but growing community. 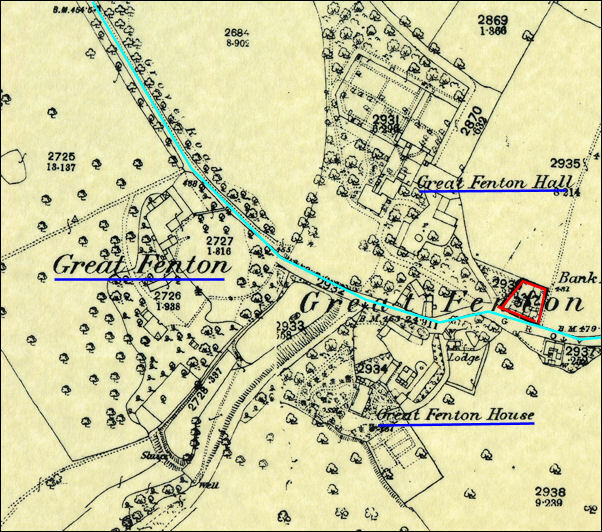 Nearly 250 years ago this land was commonly known as Fenton Vivian. 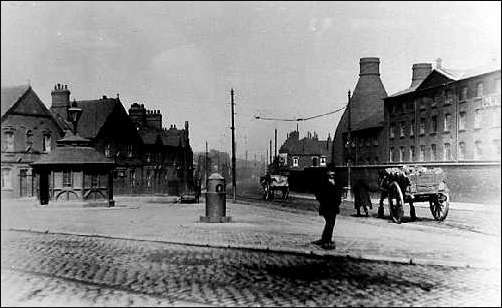 A hundred years on and the area around Duke Street and China Street had become populous in the rapid development of the potteries. By 1880 Fenton had ceased to be a collection of villages and took on a more urban character while the pleasant lane from Hanley was called Victoria Road in tribute to the monarch that early Fentonians clearly adored. 500 houses were erected along the one mile stretch and by 1933 the lane’s straight contours and attracted large volumes of traffic and it was designated the number A50. Today the majority of houses have gone, the entire length of road has become a solid block of motor-metal and the rural aspects have been transformed into a massive retail estate. Want to play best bingo? Come to Victoria Road Fenton. A quality used car may be bought from Victoria Road Fenton. DIY stores sprawl hugely on both sides of Victoria Road Fenton scrambling for the last available space with caravan sales, supermarkets, carpet and home furnishers, tile warehouses, electrical warehouses, public works, petrol filling stations and of course MacDonald’s. This part of Fenton is unattractive and featureless and yet the location names remain to remind us how it once must have looked – Mount Pleasant, Hollybush, Pool Dole, Golden Hill and Heron Cross. Elsie’s father shared his farming duties with peace-keeping for he was a village bobby stationed at Fenton. When he was on police duty Elsie’s mother and her four brothers and five sisters mucked in with farming tasks. She attended Heron Cross School and at 14 she took a job as an usherette at Fenton’s first cinema the local Plaza, just two years after the first talking movie was shown there. to the north Great Fenton Hall and, marked in red, a group of 1720's workers cottages which both preceded and succeeded all three large houses. Of course the name itself derives from medieval husbandry whereas later potters built large houses here next to their pot-works – Great Fenton Hall, Heron Cottage and Grove House each accommodated important industrialists. The two principal districts, Fenton Vivian and Fenton Culvert, each with their scattered communities, both lay within the ancient parish of Stoke on Trent until 1894 when they were brought together to make an urban district with its own board of guardians. But Fenton still is a sprawl with the famous Foley Works – a dozen or so yards from Longton town centre – being included as well the edges of Blurton as far down as Trentham. Some old wags used to insist that the centre of Stoke on Trent was situated in the Boothen stand in Stoke City’s Victoria Ground. But now the football club has moved to Britannia Stadium and guess where it is located – in Fenton. 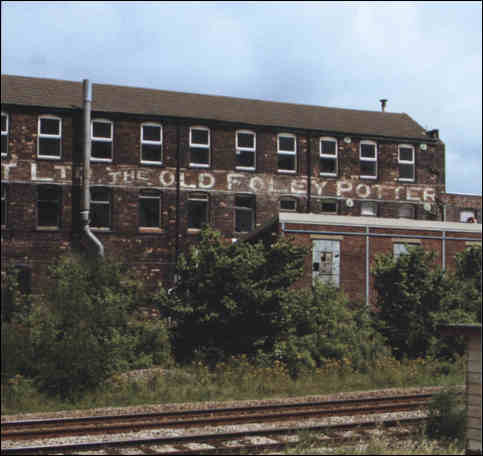 James Kent: "This firm of general domestic potters, Old Foley, Longton, Was founded by James Aloysius Kent (born 1864 died 1953) with five workmen from the firm of Barker & Kent (including Arnold Bennett's brother Septimus Bennett, modeller) in 1897." Just along the road from Albert Square in Heron Cross is the home of Stan and Marge Bate. As councillors they have represented their community for a cumulative 60 years since their arrival in Fenton in 1954. They remember the rural aspects of the district with affection where everyone seemed to know everyone else. “Fenton is really a group of villages,” says Stan. “People who live in Saxonfields have different priorities than those who live in Mount Pleasant for instance. There are little enclaves all over the place. This is shown in the number of resident’s associations. There must be more in Fenton than anywhere in the city.” Nobody hereabouts it seems likes to be ‘big’. But Fenton as we speak is growing. “Housing developments are springing up all over,” says Stan. “There are new houses by the railway and by the Regent and alongside Fenton Park. The massive development at Fenpark is a good example of quality accommodation. The Beeches is another and there are plans to use half the space occupied by the allotments.” Stan was secretary of the city allotment’s association. How does he square the anomaly of giving up half his land for housing? Marge remembers how the pot-banks closed along Victoria Road. “Hewitt’s was one that caused a deal of problems with Stoke on Trent’s longest running strike and it certainly hit the local shops very hard. When an industry closes down the supporting services go as well. The whole road became very run down. That’s when the proposals to reuse the land for retail development became prominent.” As councillors they both supported these plans. And Marge spearheaded the proposal for the initiation of Fenton’s new market at which she succeeded eight years ago. She is proud to say that it is the busiest open market in Stoke on Trent today which occupies half the area of the central car park each Thursday. I ask both Stan and Marge to describe the identity of Fenton. They both speak together, both rather hesitantly – “We-ell – it’s just Fenton,” they respond in affectionate unison – mundane – quirky. Here we are then, a town without an identity. I recall all the trouble Arnold Bennett caused when he omitted Fenton from the title of his collective ‘Five Towns’ and wonder if he’d even been here. For this isn’t a friendly place. The roads are clogged with traffic and the requirements of large scale traffic relief have severed the district in half which has done nothing for unity. It’s easy to get lost among the myriad of streets that seem to end up on the fast through road. And for every transient or permanent resident, there are a hundred visiting strangers who daily impose upon an already alienated community. Where is Fenton? It is nowhere unless like Stan Bate you believe it to be the centre of the universe. The name "Delph" means a digging, such as a claypit or quarry. 'Drowned in a delph' appears as a cause of death in Staffordshire parish registers. 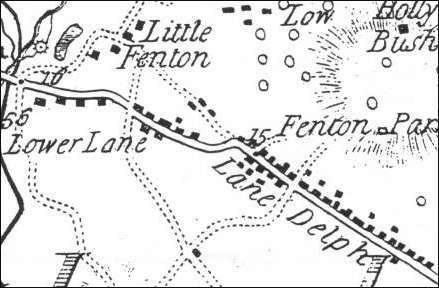 Lane Delph was one of the earliest populated areas in Fenton and home to a number of early pottery works and families. Lower Lane lay on the boundary of Little and Great Fenton It covers the area at the junction of the road now known as City Road (previously High Street West and east) and a track which is the current Glebedale Road.